Public transport in London usually works well, and paying is a breeze with an Oyster card or Contactless. However, you might end up paying hundreds of pounds in error… but there’s a way to get those back. Generally speaking, I love public transport services in London. Sure, they’re often over-crowded, the heat in the summer is awful, and the constant weekend engineering works are annoying. But even when you consider all the issues and problems – it still WORKS. You get from point A to point B, and you can always find a way around when things go wrong. And if that’s not enough – you might be paying WAY MORE than you should, because of erroneous “incomplete journeys”. In fact, many, many people are – in the first half of 2018, there were reportedly £28.8million in incomplete journey charges. Sadly, I was part of that number. When I learned how to check for incomplete journeys, I found out my household gets them almost EVERY WEEK. Even on a modest estimate of twice a month, that’s a potential loss of almost £200 that I’m being mistakenly charged for. Incomplete Journey Charges – What Are They? How Can I Get Refunded For Incomplete Journeys? 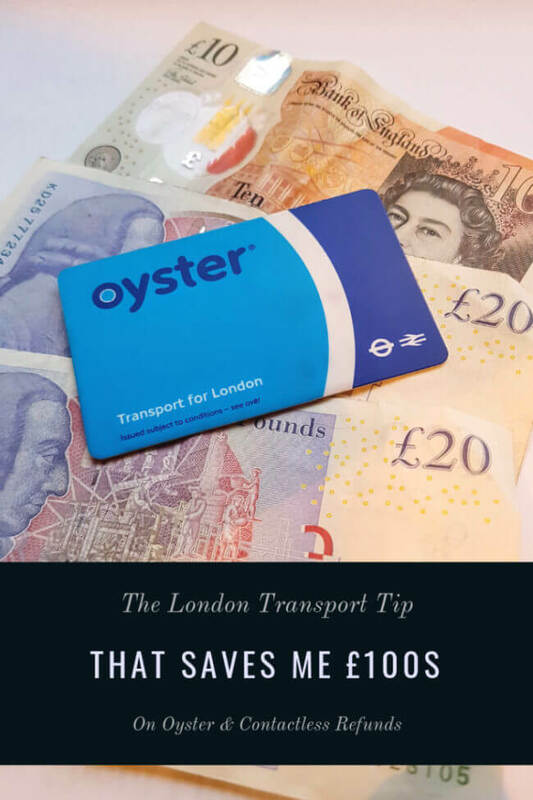 When you travel on the Tube, DLR, London Overground, TfL Rail, National Rail or the Thames Clippers River Bus, you need to TAP IN with your Oyster or bank Contactless card at the start of your journey, and then TAP OUT at your last stop (On a bus, you only tap IN). However, if you fail to tap in, OR tap out – for whatever reason – the automatic systems don’t know how to calculate the cost of your journey. So they charge you the Maximum Charge (£8.00 in Zones 1-9) for that journey, which is often not the correct charge. For example, let’s say you travel from Bank Tube Station to the Sheperd’s Bush tube station. It’s just one tube line (Central), and should cost £2.90 during peak times and £2.40 off-peak. So you TAP IN at Bank, but then – Oh No! – the gate at Sheperd’s Bush is broken and you can’t TAP OUT. The tube workers let you out, but you haven’t tapped your Oyster (or Contactless). Now, Transport for London’s (TfL) computers know where your journey began (Bank) but they have no idea where your journey ended (Sheperd’s Bush). So as far as they’re concerned, you might have travelled to Upminster and should have paid £5.10. Or maybe you spent the whole day travelling back and forth without tapping out… Anything can happen! So what do the computers do? They charge you the maximum amount – which is the Pay as You Go daily transport cap, which currently stands at £8.00. And the same thing happens if you don’t TAP IN – so let’s say the card reader was broken at Bank. You tap OUT in Sheperd’s Bush, so the computers know where your journey ended – but again, they don’t know where it began. So it’s £8 again, and you just lost £5.1. But wait, you might say – if the card reader is broken, I’ll see that, right? And I’ll know to ask for my money back, right? Well – not necessarily. In many cases, you might not tap in or out correctly – and not even be aware of it, because everything seemed fine. Plus, there’s always the possibility of you simply forgetting to tap in or out. Many stations (especially train stations) do not have gates – they have stand-alone card readers, and you need to remember to tap them before you leave (or enter) the station. Open an account and register your Oyster card and your Contactless card (if you use it for travelling) on TfL’s website. Do note that when you register a new card, you’ll have to give details about your last journey with that card (within the past 8 weeks), for security reasons. So if you haven’t used your card yet – do it, and register on the next day. Once you have a TfL account, you can view your public transport journey history (both on your Oyster and Contactless, if you use both), and make sure there are no errors. I check that website at least once a week. 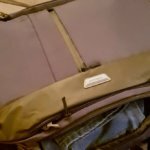 For me (or more accurately, for my husband, who travels more) there are errors there at least once or twice a month – and sometimes more often than that. Automatic Refund: In some cases, the automatic systems recognise the error (mostly when you forgot/couldn’t touch out), and it will be shown prominently on the first screen. When that’s the case, you can then ask for a refund directly via the website. You will be asked to supply details about the missing information – where was it that you left (or entered) the station, and why didn’t (or couldn’t) tap out – you forgot, the card readers were broken, etc’. 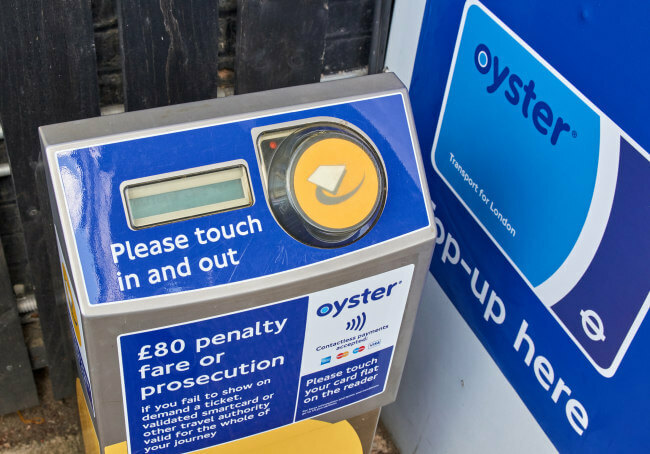 Then, if the details are correct, you will get the refund back automatically, by tapping your Oyster on a valid card reader within a couple of days. You can use the automatic refund up to three times a month and within 8 weeks of the journey. Manual Refund – Unfortunately, the automatic systems often fail to recognise the erroneous charges, so it’ll be up to you to check. Go into “View Journey History” within your account, and you will be able to see your public transport history for up to eight weeks back. The easiest way to find errors, is when you know how much you were SUPPOSED to be charged. For example, if your daily commute is always £8 (the daily cap), then simply look for days when it was higher. Otherwise, simply look for strange-looking journeys – places where it says “No Tap Out”, “Not Tap In”, missing stations (that you know you’ve been at), etc’. Once you find the errors, make a note of them (the exact date, and the stations involved) – and now it’s time to call TfL. TfL’s customer service number is 0343 222 1234 (8am – 8pm daily). When you call, you’ll be asked to give our your Oyster number (or Contactless), and the details of the wrongful charges and incomplete journeys. 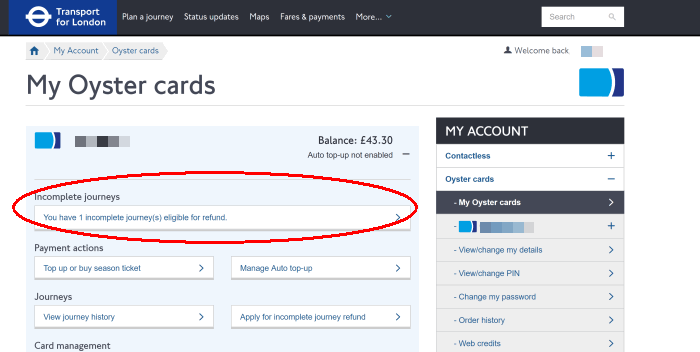 Assuming everything is correct, they will offer to refund the money – either back into your Oyster card (but you will need to tap a card reader within two days), or deposited into your bank account. A quick survey among my friends revealed that almost none of them check their Oyster charges regularly. (It’s a bit easier with Contactless – when the charges are too high, you’ll spot them the next day on your bank account. 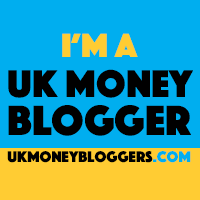 However… many people have no idea how much they’re SUPPOSED to pay – or simply don’t monitor their bank accounts closely enough). If that’s you – please go NOW and register your card, then start checking your journey history. 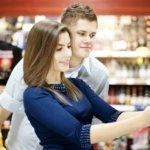 You’ll be surprised at how much money you might be losing. 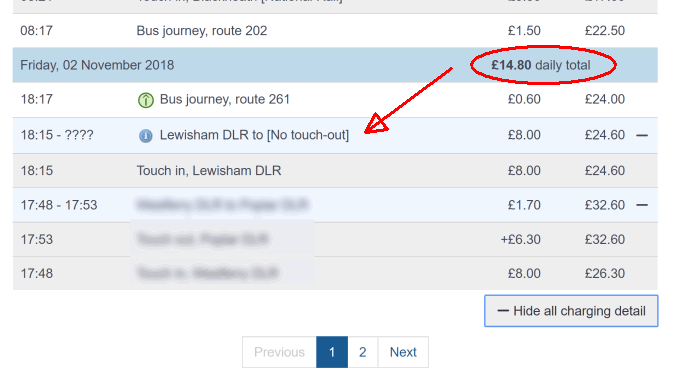 Bonus Tip: TfL’s website can also be used to ask for refunds on late trains and tube disruptions. I’ll write another post about that in the near future.